Thank you for taking part in this exciting and worthwhile PSHE project for your school. 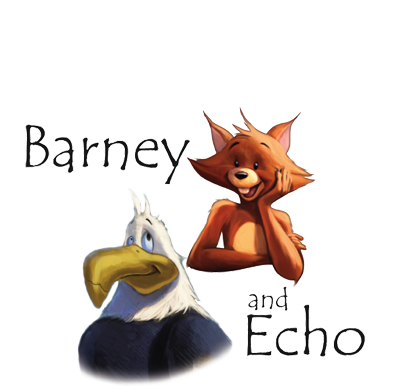 The emphasis for this PSHE project is Sparky’s Big Idea, a Barney and Echo story from the Police Community Clubs all about the environment. Go to https://barneyecho.co.uk/sparky-s-big-idea/ for further information about the project and to see a sample of the book and resources. Sparky’s Big Idea Project will be delivered free-of-charge to your school on between the 5th & 8th September 2017 by The Manager from your local Costa outlet. They will be in touch with you to arrange a suitable day and time for delivery between the 5th & 8th September. 60 copies of Sparky's Big Idea, a wonderful A5 full-colour story and workbook. A teacher workbook outlining how to deliver the project with expected outcomes. A set of 4 x A4 full colour posters to be displayed in your classroom. 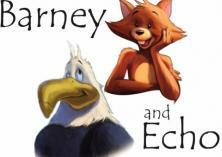 A one-act play that can be rehearsed and delivered to pupils and/or parents as desired. A set of stickers highlighting the project for individual pupils. Access to the Dizzy Heights platform game for i-pad and i-phone. Your local Costa store will be holding a Costa Reading Week between 11th & 17th September 2017 between the times of 3.30pm and 5.30pm and your invitation for all pupils, parents and staff will be sent to you well in advance and will also be included in your delivery pack. a) The Litter Heroes story to read, especially created for Costa for Reading Week and featuring a new story from Barney & Echo, all about litter and responsibility in our communities. b) A special Environmental activities booklet to complete. This is to help stimulate young minds to begin to think about their environment and how sustainability can impact their choices. 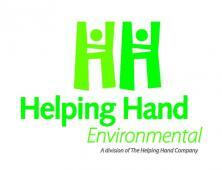 c) Helping Hand Environmental will be creating a special Design Your Own Litter Picker competition entry form where pupils can not only design their own equipment, but also see the winning design come to life when Helping Hand manufacture the design and present it to the winners! The opportunity for your school to enter your Sparky’s Big Idea project or any other relevant project to the Community Education Awards for countrywide recognition; see www.communityeducationawards.co.uk for reference. Entry to the 2018 Awards opens in July 2017. 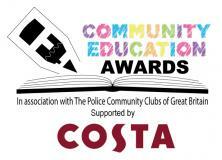 Entry into a Community Education Award is free-of-charge to all UK schools. This is a very exciting and worthwhile project for schools across the UK and we are thrilled that your school have chosen to get involved. Thank you again and I hope the project proves to be a big success in your school.